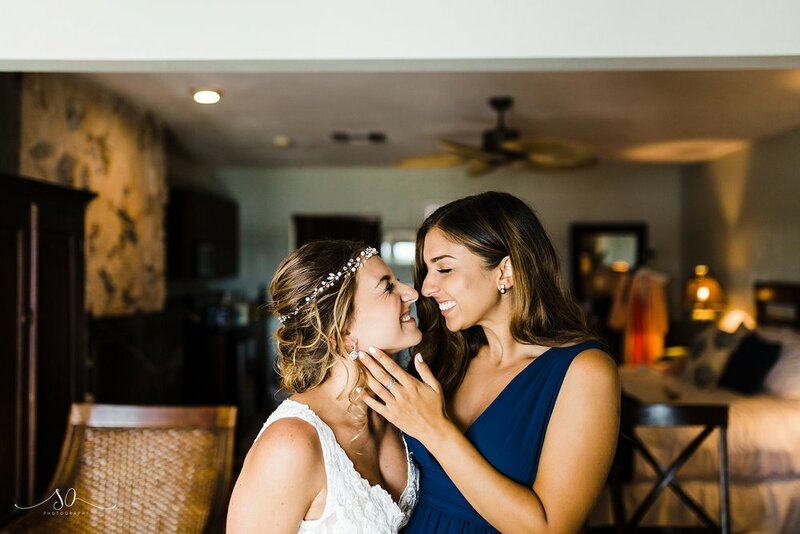 For the last several months, it's no secret that Florida has basically been underwater with all the rain we've been getting, but for one incredible day, the rain stopped, the sun came out, and we photographed one of the most joyful and tender weddings we've ever seen. 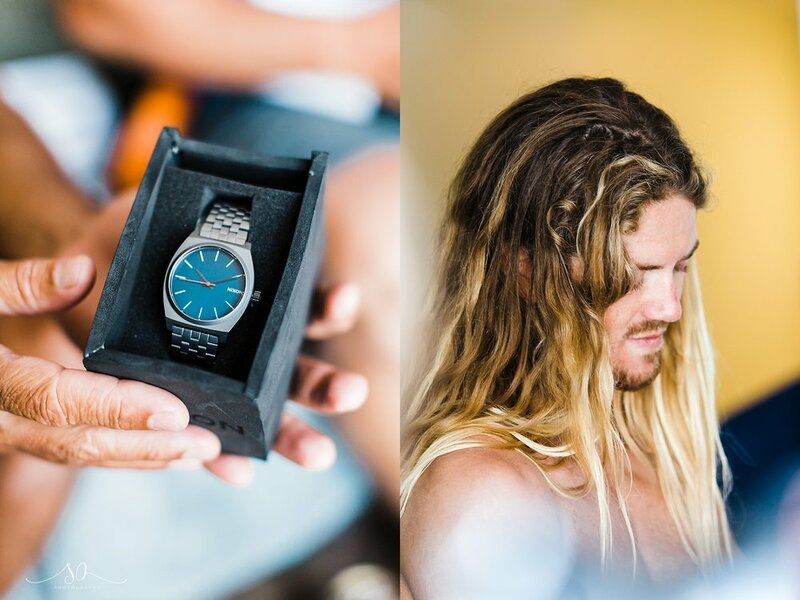 From the moment I met this duo several years ago at the Surf EXPO, it was clear that this was the kind of couple that just makes sense. They are calm in each other's presence, and encourage each other to grow professionally and personally - oh, did I not mention that both of them are baddass bosses? Yea, say hello to the owners of Blueline Surf and Paddle Co and JIVA Active! 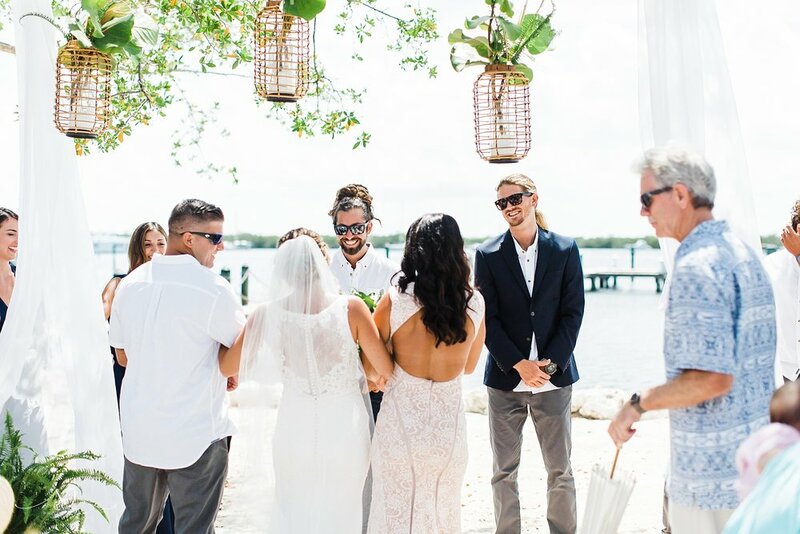 With these two living and breathing all things ocean, it's no surprise that they decided to get married in the Keys, at the stunning Coconut Palm Inn. They had originally planned on getting married in September of this year, but I was beyond thrilled to get the phone call that the date was being *bump*ed up because someone new was going to join the party - and so we all gathered together on May 23rd and celebrated love and life under the sun. Nikki and Matt expressed the importance to them to have beautiful photos, but to be also able to spend time with their family and friends who had all travelled from far away, and so they opted to have a first look. That long dock was the PERFECT spot for the two of them to meet - I don't think I've seen a spot as romantic as that dock, yet! 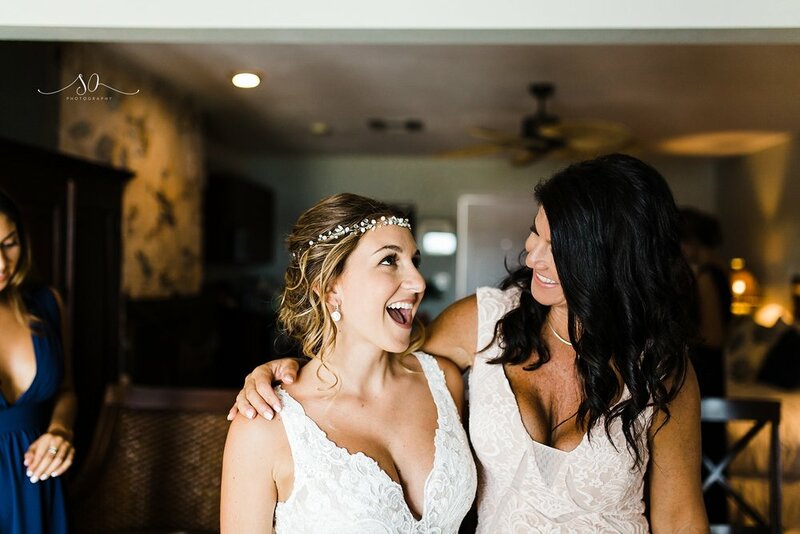 Nikki was lead down the aisle to their waterfront ceremony location by her brother and mother, and after the couple exchanged beautiful vows, they kissed under the tree and we had a little bit of fun with the people they call their nearest and dearest. If the infectious love hasn't already got you hooked, wait until you see these bride and groom portraits that we took all around the property! It is literally like the sun gods came down and kissed upon these two. 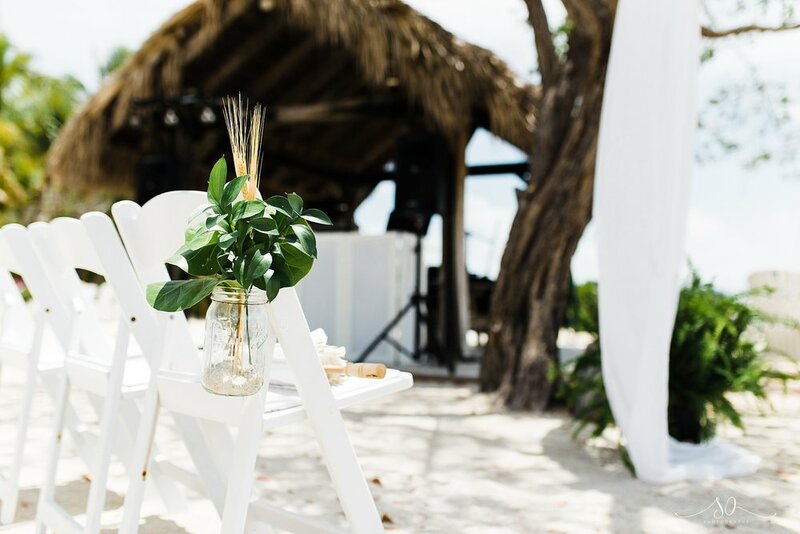 They opted for a beautiful white tent with chandeliers to keep their guests cool and shaded for the sun, where they enjoyed an amazing meal from Caribbean Catering. 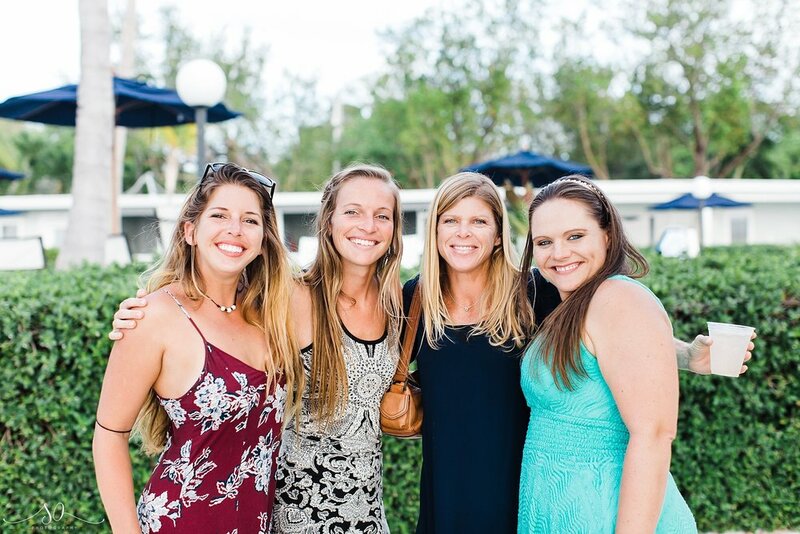 This laid back reception allowed guests to dance under the palm trees, enjoy the breeze at the dock, take a boat ride, roast a marshmallow, or just hang back and enjoy life. Thank you so much for having us out to capture your amazing day! It was an honor to be there and I can't wait to continue to to capture all of the big moments in your life! Thank you to the amazing team of vendors that helped Nikki and Matt have their perfect day!